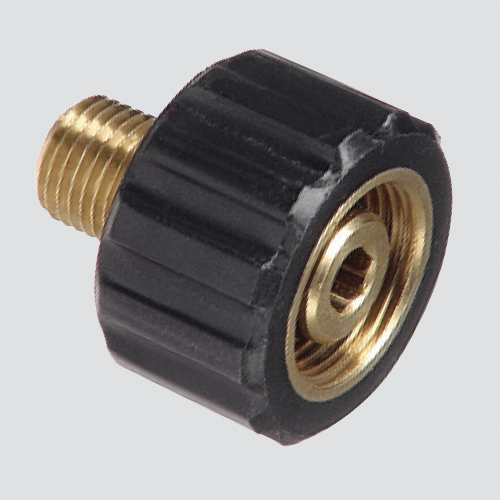 The female metric x male pipe thread adapter will connect hoses and accessories with female pipe threads to a female metric connection. The O-ring seal and the easy-grip nut create a good seal, and can be easily changed without tools. Use Teflon™ tape or paste for a leak-free connection.